When will be The Count of Monte Cristo next episode air date? Is The Count of Monte Cristo renewed or cancelled? Where to countdown The Count of Monte Cristo air dates? Is The Count of Monte Cristo worth watching? Syndicated British series based on the classic novel by Alexandre Dumas. Edmond Dantes, wrongfully imprisoned for a crime, escapes and discovers a fortune on the island of Monte Cristo. Styling himself the Count of Monte Cristo, Dantes then devotes himself to righting injustice. 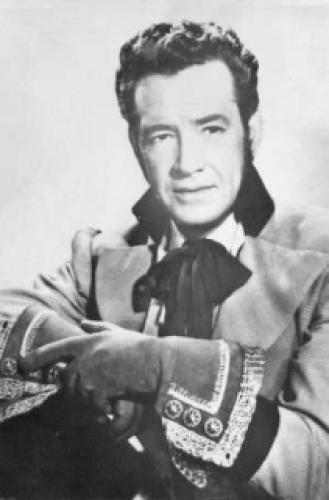 George Dolenz (the father of future Monkee Mickey Dolenz) starred in the title role. The series aired for 39 episodes with the first 12 being filmed in Hollwyood and the remainder being shot in Great Britain. EpisoDate.com is your TV show guide to Countdown The Count of Monte Cristo Episode Air Dates and to stay in touch with The Count of Monte Cristo next episode Air Date and your others favorite TV Shows. Add the shows you like to a "Watchlist" and let the site take it from there.